Piazza del Liberty is a small square, which however, is noted for a stunning Art Nouveau palace today called the Hotel del Corso, but once the Trianon. You reach it just off a tiny opening at the beginning of the Corso Vittorio Emanuele. 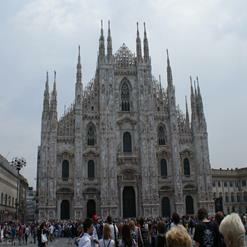 The closest station is Duomo, but San Babila is a decent distance too.